Well it's back to the mish-mash of remix culture that I love. This one was sadly t0o late for christmas, but I think you'll enjoy it none the less. 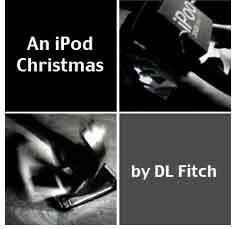 It's been called an iPod ad spoof, but I think it's more of a spoof of an idealized old B&W christmas morning film gone very, very wrong. All I know is it's just weird and wacky enough that I love it. Please ubscribe to my podcast feed to get video clips I blog about automatically.